Also known as the court of Arent Bosch, this place was founded in 1649 in the city of Gouda. The city was known for its heavy influence of Dutch culture and this building showcases it in a great way. Settled in the southern side of the Nieuwehaven, the court was initially established with 16 homes with an intention to provide shelter to 32 poor and baptized widows. It was later declared inhabitable after World War II and restored for four women. 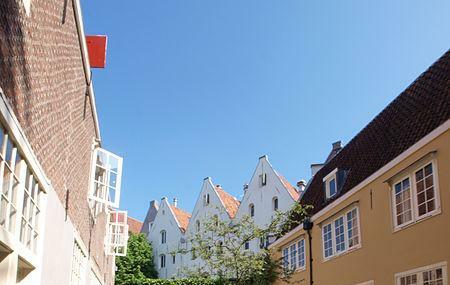 Today, the place is regarded as a significant aspect of city’s history and Dutch culture. The building is still open as rentals to female students who can continue living her or move on after their studies. Tourists might need to contact beforehand to get in, but the vibes, structure and story of the place make it a worthwhile effort. The gates get closed in the evenings.